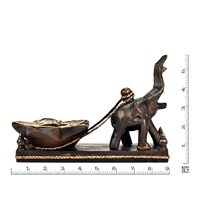 Elephants are symbolic of strength and power and are highly regarded in Thailand. These intelligent creatures have played a huge role in the history of that country. 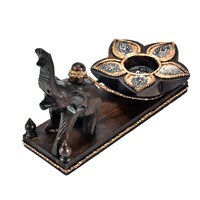 This epic hand carved candle holder pays homage to the mighty elephant. Thai artisan Aree uses her amazing woodworking skill to transform Rain Tree wood into this beautiful and functional work of art. The design features a powerful elephant towing an intricate tropical flower shaped candle holder. 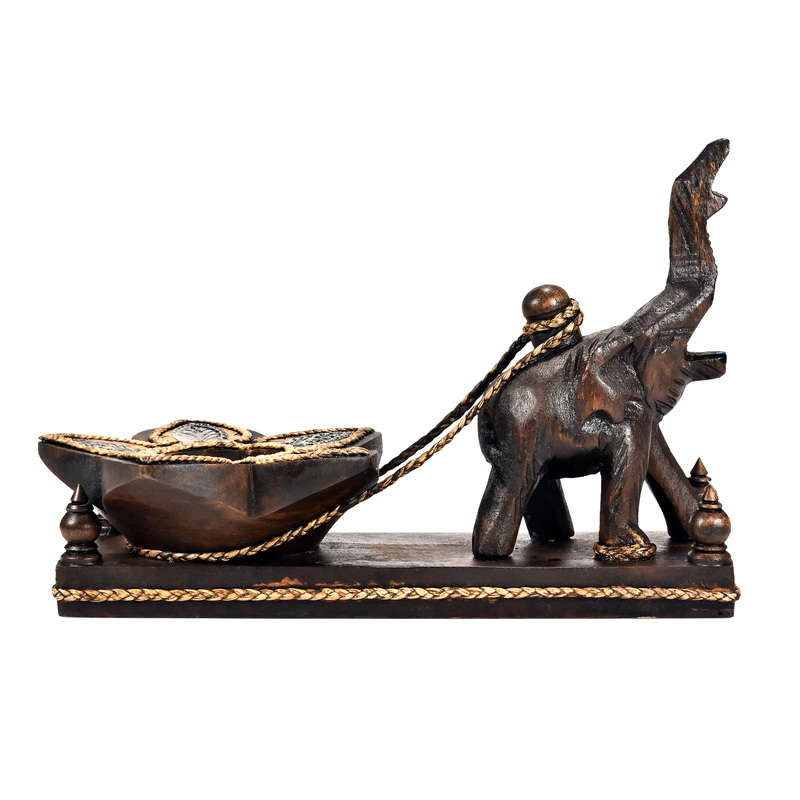 Hand woven rattan accents add a natural quality to the piece. This unique candle holder is the perfect way to add an authentic piece of Thailand to your home decor. You can check out our other listings for other styles. Aree was taught wood carving by her father when she was only a young girl. Her father was master carver from northern Thailand. 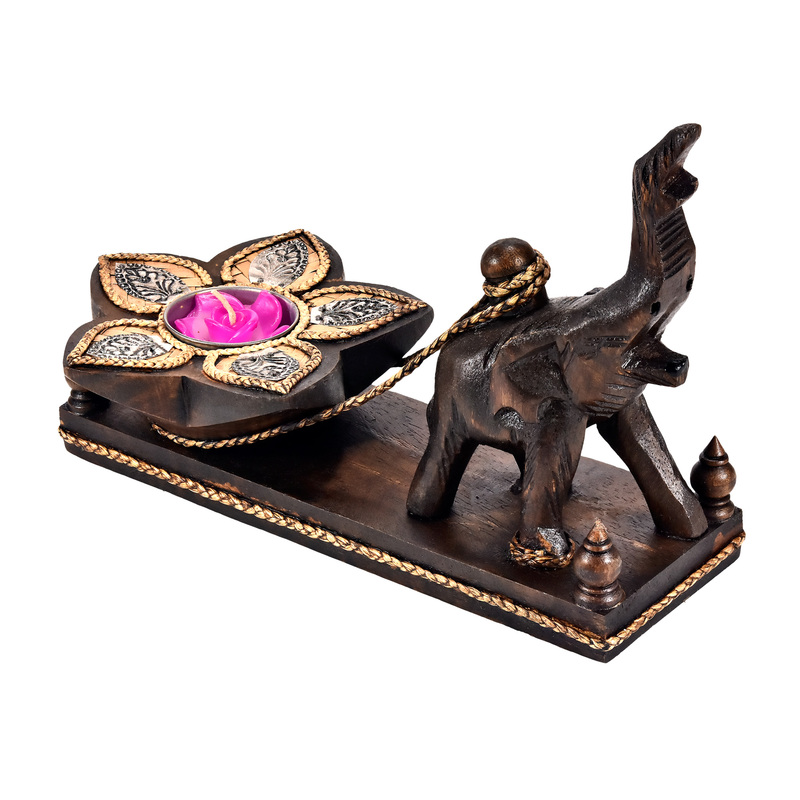 Aree takes pride in her carvings and she has become very well known in her region, especially since she is one of only a handful of women woodcarvers. Aree's woodcarving business helps several local families in her province earn income.